As per the flyer above, Bristol Mind is looking to launch a telephone helpline for trans people. They are looking for volunteers to help staff the service. There’s no salary, but they do pay expenses. For further information about the work, and how to sign up for the training programme, see this information sheet. It kicks off with a party and fundraiser on November 13th. From November 16th – 23rd there is an exhibition of visual art from Trans artists from across the UK, exploring ideas of gender and identity. The opening night on November 16th features live art from Raju Rage and music from Afon Sistema. 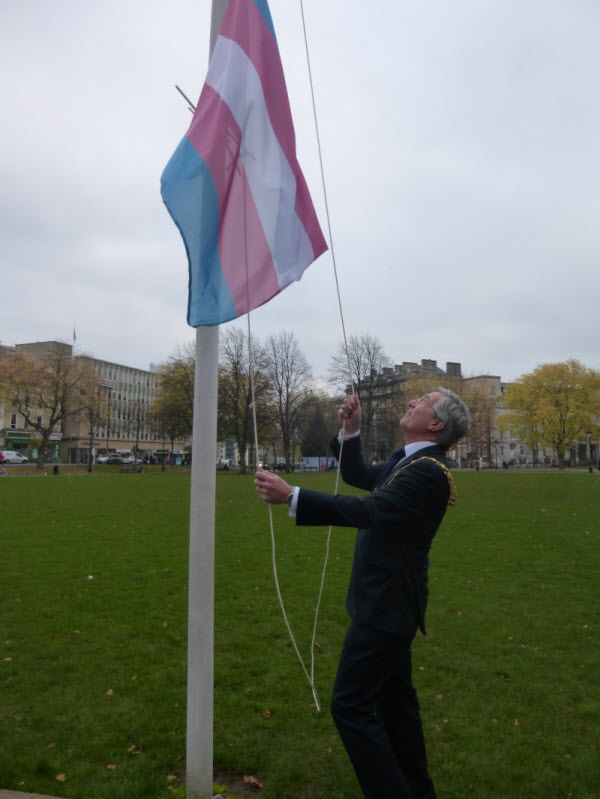 08:30am – Raising the Trans Flag outside City Hall, College Green, BS1 5TR, with the Lord Mayor, the Right Honourable Clare Campion-Smith. The flag raising is a public event and may have the media in attendance. 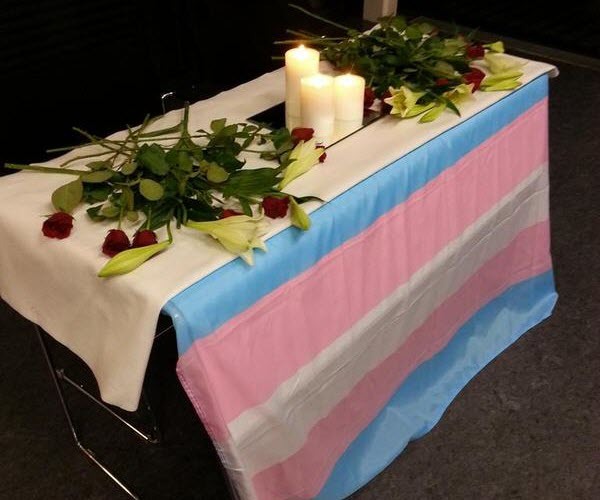 The Ceremony of Remembrance is for trans people, their friends, family and allies. In addition Trans/Forms, a locally based trans art group, is organising several events at Hamilton House, 80 Stokes Croft, Bristol BS1 3QY in the week leading up to TDOR. More information is available from their Facebook page. 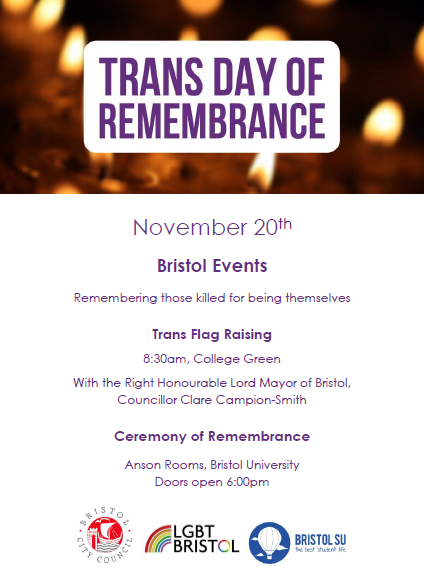 ShoutOut Radio will be covering TDOR on their show on November 19th (7:00pm-8:00pm on BCFM).